This is part three of our Digital Scholarship Research Guide created by Samantha Herron. See parts one about digital scholarship projects and two about how to create digital documents. Great! But what to do? Regardless of what your data are (sometimes it’s just pictures and documents and notes, sometimes it’s numbers and metadata), storage, organization, and management can get complicated. Here is an excellent resource list from the CUNY Digital Humanities Resource Guide that covers cloud storage, password management, note storage, calendar/contacts, task/to-do lists, citation/reference management, document annotation, backup, conferencing & recording, screencasts, posts, etc. Cloud-based secure file storage and sharing services like Google Drive and Dropbox. Both services offer some storage space free, but increased storage costs a monthly fee. With Dropbox, users can save a file to a folder on their computer, and access it on their phone or online. Dropbox folders can be collaborative, shared and synced. Google Drive is a web-based service, available to anyone with a Google account; any file can be uploaded, stored, and shared with others through Drive. Drive will also store Google Documents and Sheets that can be written in browser, and collaborated on in real time. Zotero, a citation management service. Zotero allows users to create and organize citations using collections and tags. Zotero can sense bibliographic information in the web browser, and add it to a library with the click of a button. It can generate citations, footnotes, endnotes, and in-text citations in any style, and can integrate with Microsoft Word. Here are some online courses from School for Data about how to extract, clean, and explore data. 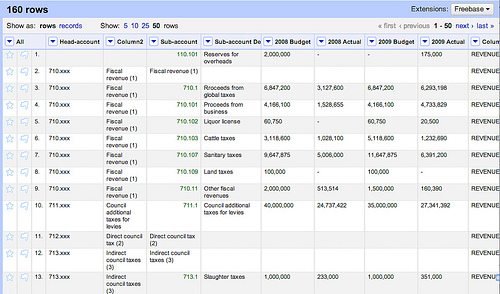 OpenRefine is one popular software for working with and organizing data. It’s like a very fancy Excel sheet. Screenshot of the Open Refine tool. Here is an introduction to OpenRefine from Owen Stephens on behalf of the British Library, 2014. Programming Historian also has a tutorial for cleaning data with OpenRefine. A sophisticated text editing software is good to have. Unlike a word processor like Microsoft Word, text editors are used to edit plaintext–text without other formatting like font, size, page breaks, etc. Text editors are important for writing code and manipulating text. Your computer probably has one preloaded (e.g. Notepad on Windows computers), but there are more robust ones that can be downloaded for free, like Notepad++ for Windows, Text Wrangler for Mac OSX, or Atom for either. The command line is a way of interacting with a computer program with text instructions (commands), instead of point-and-click GUIs, (graphical user interfaces). 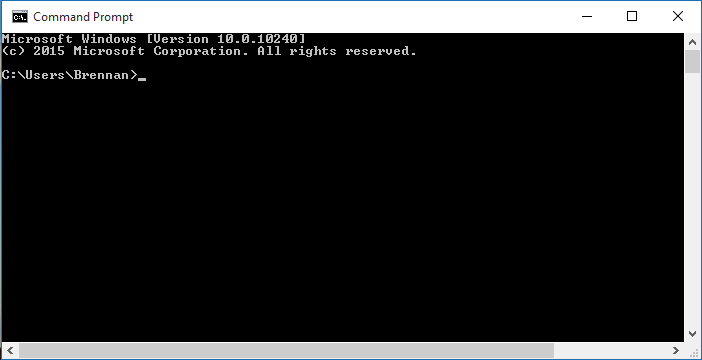 For example, instead of clicking on your Documents folder and scrolling through to find a file, you can type text commands into a command prompt to do the same thing. Knowing the basics of the command line helps to understand how a computer thinks, and can be a good introduction to code-ish things for those who have little experience. This Command Line Crash Course from Learn Python the Hard Way gives a quick tutorial on how to use the command line to move through your computer’s file structure. Code Academy has free, interactive lessons in many different coding languages. Python seems to be the code language of choice for digital scholars (and a lot of other people). It’s intuitive to learn and can be used to build a variety of programs. Screenshot of a command line interface. Next week we will dive into Text Analysis. See you then! This is a syndicated post. Read the original at The Signal 2018-01-17.